Our proficiency is in manufacturing and supplying an exclusive range of Printed Wads that ensures the freshness of the packed food items. The offered printed wad is manufactured from the optimum quality material & contemporary techniques in accordance with quality standards. This can be used in sheets or as a container. The offered printed wad can be availed from us at market leading rates within a confine time frame. Being a quality-centric organization, we are dedicated to provide Plain Wads which are broadly used in the market owing to their longer life and high reliability. 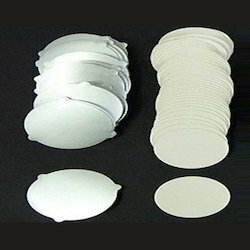 This plain wad is designed by our workforce utilizing the top quality material & latest machines as per the set standards. 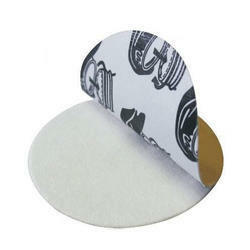 Offered plain wad is accessible in various sizes & customized options to suit variegated requirements of customers. We are giving this plain wad to our customers in bulk order also within a stipulated time frame. 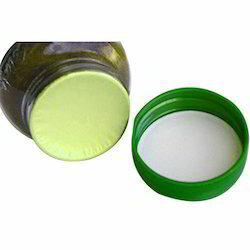 Leveraging on our vast industry experience, we are committed towards offering wide gamut of Ghee Jar Seal Wads. 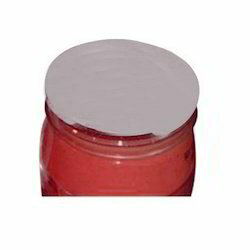 This jar seal wad is manufactured from the finest quality material & used for sealing jars in order to prevent from any kind of leakage before opening the seal. 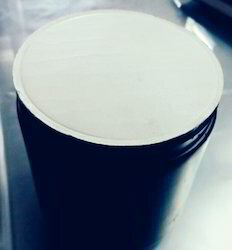 The offered jar seal wad is broadly used in the market owing to their longer life and high reliability. 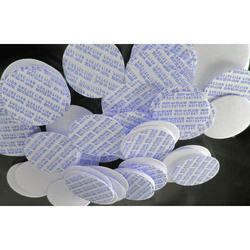 We offer our jar seal wad in varied sizes to meet the individual needs of our esteemed customers. 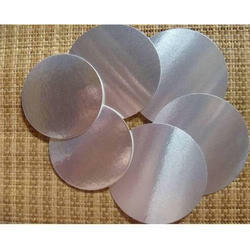 We are leading manufacturer of Wads sealing foil printed and unprinted. 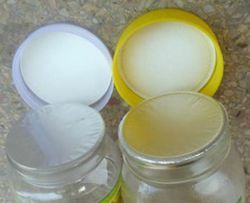 We are Leading manufacturer and supplier of Induction sealing wads which are suitable to seal with PP Jars/Pet Jars/HDPE Jars/LDPE Jars etc.... We provide printed and unprinted. We are backed by the team of skilled and talented professionals, highly indulged in providing a wide array of Induction Seal Wad to our respected customers. These offered products are available in varied stipulations as per the needs and demands of our customers. Along with this, these products are obtainable within stipulated time frame. Under the strict supervision of our qualified professionals, we are offering a qualitative range of Induction Seal Wad. This seal wad is ideal for medicine, hospital, kitchen and cosmetic also demanded in different industries such as food and pharmaceutical. The offered seal wad is manufactured using world class material under the direction of professionals as per the latest market trends. 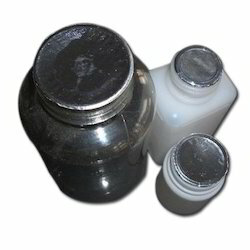 The given range of seal wad is used for providing excellent seal-ability to a container. induction seal wads forAutomotive & Lube Oils Industries induction seal wads We have marked a distinct and dynamic position in the market by providing a high quality array of Automotive & Lube Oils Industries Wads. 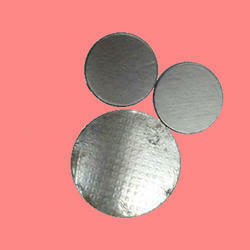 These Wads are widely used in Automotive and Lube Oil Industry for packaging oils. 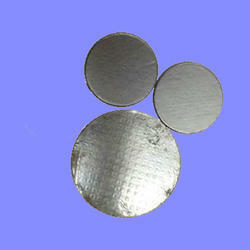 To cater the variegated demands of the clients, these wads are manufactured in different sizes and dimensions. Moreover, our quality controllers test these wads against various quality parameters to ensure flawlessness. The whole range is known for its intrinsic and special features like temperature and moisture resistance. Keeping in mind the diverse requirement of our clients we are involved in offering a wide gamut of Engine Oil Can wad Seal. These are available in different sizes as per the requirements of our customers. Our offered products are made using fine quality raw material and latest technology. Apart from this, these are also quality checked on various parameters by our quality inspectors to meet the clients needs. We provide a wide range of Printed Foil Induction Wads that are used to prevent products from leakage and theft by intermediary. 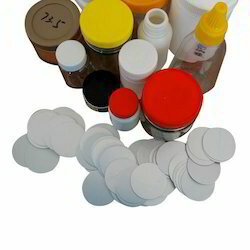 The induction seals are applied with induction heating and are widely used to seal PET, PP, HDPE, PE or glass bottles, jars containing liquids, tablets or powders.Extremely safe & effective, these induction sealing wads comes with customized designing. 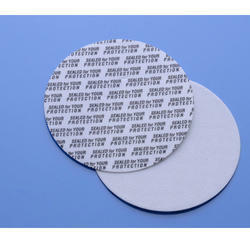 These are widely used prevent tampering of products in food, pharmaceutical, pesticides and various other industries. 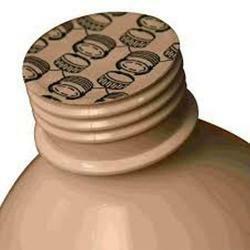 Sample plastic cap & plastic bottle is required in order to make to give u the sample. Inner seals provide tamper evidence and a hermetic barrier. Emerging technogical developments include new designs that improve safety from tampering and counterfeiting, new materials to improve barrier properities, and peelable structures that are easy to open for greater comsumer convinence. Aluminium foil 2o - 40 mic. PE film 55 mic - 80 mic. 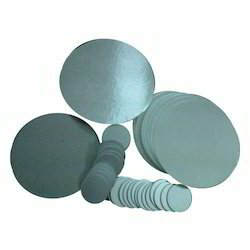 One Piece Induction Seal Liners are the group of liners wherein the base Liners are fused with the sealing materials. These liners also have an easy peel options on many container substrates which helps in better ergonomics while using the package. Mainly used for One Time Use Package Products : Flavored Milk, Fruit Juices, Cheese Spreads, Sauces, Vitamin Products & Spices Etc.It gives good barrier properties & hence keeps the product fresh for longer time. Inner seals provide tamper evidence and a hermetic barrier. Emerging technogical developments include new designs that improve safety from tampering and counterfeiting, new materials to improve barrier properties, and peelable structures that are easy to open for greater comsumer convinence. Let our sales to help you recommend a suitable machine for your packaging job. 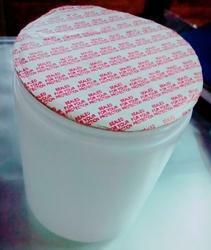 Put the aluminum foil seal liner into the cap with the alu foil side exposed outside. Screw the cap onto the bottle tightly. Using an electromegnetic induction sealing machine to heating the bottle cap. After finished the above 3 steps, you can get the aluminium foil bonded with the bottle. Do you already have induction sealing machine? What’s the product you going to seal? 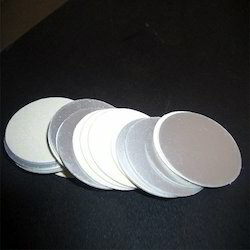 What is your cap diameter? What’s the material of your cap? PET, PP, PVC, PE, PS, GLASS or others? 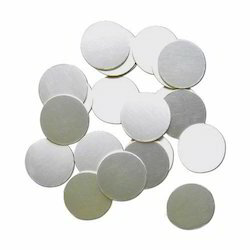 We have gained a remarkable position in the industry by offering a qualitative assortment of Plain Induction Wad. The offered induction wad is manufactured at our modern production unit using fine grade components with the aid of cutting-edge techniques by our adept professionals. This induction wad can be also customized in various designs and other related specifications. The offered induction wad is used in pharmaceutical industry for packing containers & bottles. Applied in various industries, including pharmaceutical, foodstuff, beverage, cosmetic, lubricating oil, pesticides, industrial chemicals and covering geriatric needs. 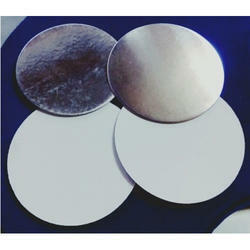 We are leading manufacturer and supplier of High berrier Induction sealing wads for Coolants , Lubricant and Automotive . We offer many different Industries to Our silver and gold foil coating Induction wads and liner same use for induction cap sealing machine one-line like Induction Seal liner Wads for Agro Chemical , Induction Seal liner Wads for Insecticides , Induction Seal liner Wads for Pesticides, High Barrier Induction Seal liner , Induction Seal liner Wads for Speciality Chemicals PET Bottles and HDPE Bottle quality raw material and customize it on the bases of layers and colors. 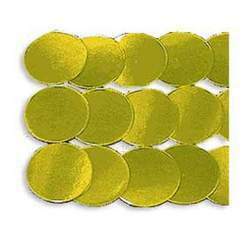 Induction Seal liner and wads that we offer are available as 2, 3 , 4, 5,6 layered, 8 layered and gold colored and the whole series of these Seal liner includes. Due to our huge market understanding and proficiency, we are indulged in providing a wide array of Printed Induction Wad to our respected customers. These offered products are developed and fabricated using optimum grade raw material and innovative technology in association with industry set norms. Moreover, these products are obtainable at very economical prices. We are the prominent name in the market deals in manufacturing and supplying Printed Induction Wads. The offered induction wad make the container air-tight and does not allow environmental factors like air, moisture and other factors to affect the item that the container has and hence prevents it from contamination. This induction wad is checked by quality controllers so as to deliver a defect free range. The given range of induction wad is provided customized options as per the need of customers. 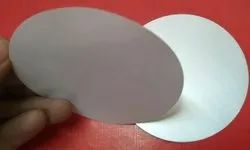 Induction lining materials are constructed from aluminum foil membranes, coated with polymer and attached to a backing material by means of wax or polymer bond. 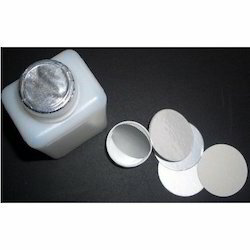 This foil laminate is then placed inside a cap or closure, and the closure applied to the container, bringing the foil laminate into contact with mouth of the container. The container then passes underneath the induction sealing head, where an electromagnetic field creates a low level of localized heat on the foil membrane, which is sufficient to melt both wax bond and polymer coating. We are leading manufacturer and supplier of induction sealing wads for pp/ pet/ hdpe containers. 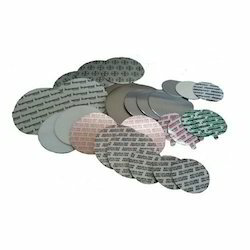 We introduce ourselves as a prominent name in the market, highly engaged in offering an extensive array of Sealing Wads. The offered sealing wad is safe and effective means of promoting brands while protecting the brands from piracy and counterfeiting. Features like tamper proof, safe usage and durable finish are the plus point of our range, owing to which these are highly acclaimed by the patrons. 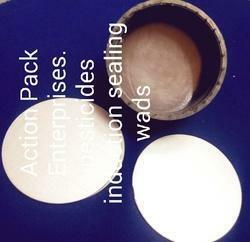 The given range of sealing wad is provided customized options as per the need of customers. Backed ourselves with sound amenities and talented personnel, we have emerged as one of the leading firms, offering Silver Wads. The offered wad is manufactured using world class material under the direction of professionals as per the latest market trends. This wad is checked by quality controllers so as to deliver a defect free range. The given range of wad is provided customized options as per the need of customers. Sunseal Agro wads offered can be made available by us in different finish configurations and provide best sealing support for different packed agro products. Made available in different thickness, size and shape options to pick from, these comprise chromo board of 0.9mm with wax coat of 15 to 18 gsm. Some of its other features include aluminium foil of 30 micron; 12 micron protective lacquer silver; heat seal poly of 35 micron. With the help of our state-of-the-art infrastructure unit, we are able to manufacture superlative quality Two Piece Induction Seal Liners that are widely used in chemical, oil, food, lubricants and pharmaceutical industries. This induction seal liner is made from high grade material and leading methodology as per the latest market trends. It consists of vi-seal bounded to the sealing material, aluminum foil. The foil and the base liners are bound in a temporary bonding with the help of the wax. With our rich experience in this domain, we are dedicatedly offering our clients a wide range of Unprinted Induction Wads. This induction wad is designed and manufactured using high quality raw materials and advanced technology under the guidance of skilled professional. 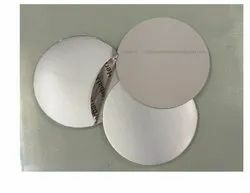 The offered induction wad is laminated with aluminum foil to provide security and authenticity to the seal in addition to the normal sealing capability. We offer our induction wad in varied sizes to meet the individual needs of our esteemed customers. In order to meet the different requirements of the clients, we are providing our clients a wide range of Unprinted Wads. 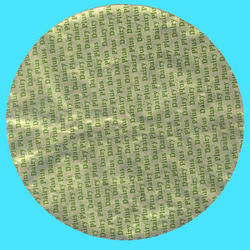 This unprinted wad is manufactured from the finest quality material & modern machines as per the set norms of industry. The offered unprinted wad is highly applauded in the market for their superior finish and fine texture. We offer our unprinted wad in varied sizes to meet the individual needs of our esteemed customers. Manufacturer and supplier of all types of wads liner.